How do you decide whether to take children from their parents? For the most part, we read about child-protective services only when they fail spectacularly—when a child is killed at home. The press then excoriates the usual suspects—the caseworker (How could she miss signs that now seem so obvious? ), child protection (How could they train their workers so poorly? ), and the city (Does it care so little about children that it won’t pay for enough caseworkers to protect them?). Because of this, most of the pressure on child protection is in one direction—in favor of removal. But it’s no small thing to take a child from his family. It seems strange to me that removal has come to seem the safe and cautious thing to do, and, since the press has played a large part in promoting this idea, I thought it might be useful to have a journalistic account of both sides of the story. I sat in on the Bronx Family Court for several months and watched judges grapple with this awful decision. One mother had been coming to family court for eight years, since her young daughter had burned herself on a curling iron. For much of that time, her children had been in foster care. The foster-care agency believed that the foster parents should adopt the children. Child protection was nervous about their safety if they returned home but also knew that children often fared badly in foster care. The mother’s lawyer said that the mother loved the children and that her mistakes didn’t justify keeping them apart. Several things stand out about this story, but it may be most notable for how well it answers one question. Research has told us over and over again that in typical cases children placed in foster care fare worse even than comparably-maltreated children left in their own homes. As the reader is placed in the position of the mother in this case, forced to watch helplessly as the children deteriorate in foster care, we understand why this happens. Something else that stands out about this story: In most states, it would have been impossible to do it. That’s because it relies so heavily on the reporter’s ability to see the process for herself, by spending months in what, in New York, is known as Family Court. In most states these hearings are closed. That’s not to protect children, it’s to protect almost everyone except the children – CPS agencies that do terrible things to families and lawyers and judges who either can’t or won’t do their jobs. 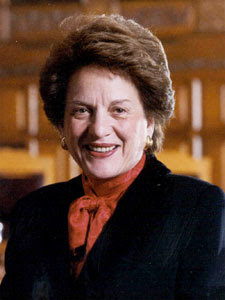 So along with MacFahrquhar, the courageous mother at the center of the story and some great lawyers from the Bronx Defenders, someone else deserves credit for this particular piece of outstanding journalism: the late Judge Judith Kaye.